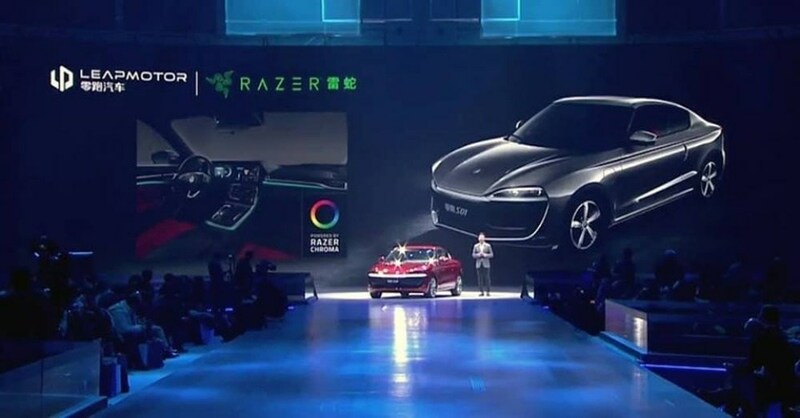 Razer, the gaming peripherals provider which is famous for its LED-encrusted keyboard, has step into the automotive business with its Chroma lighting integrated in cars through the partnership with Leap Motor, a Chinese electric car startup. Established in 2015, Leap Motor is a China-based startup which design and manufacture electric vehicles. The company has developed its own automotive driving and IoT systems and officially released its S01 model on January 3rd. However, further details about how Razer’s RGB lighting technology could be integrated in Leap Motor’s car were not revealed yet. It is expected that Chroma RGB lighting would be utilized for interior lighting with functions like informing users about the battery level of the car.